Budget and Cheap Private Egypt Holiday Package Includes 1 Nights hotel accommodation in Cairo, 3 Nights on Cruise board, Aswan & Luxor full board (sightseeing included), 1 Full day tour in Cairo, all your tours and excursions are with A/C bus, the service of meet and assist at all your destinations, Expert tour guide, Camel ride, Entrance fees, All taxes and services and Domestic airfare. Arrival to Cairo airport, our representative will assist you through passport control formalities, luggage identification & portage will greet you. From the airport, you will be transferred by a private A/C car to your hotel.Overnight in Cairo. After breakfast, Visit the Valley of the Kings enter 3 fascinating tombs, Visit the wonderful Temple of Queen Hatshepsut, Photo Stop by the Colossi of Memnon. After lunch, you will sail to Edfu, Overnight in Cruise. 1 Nights hotel accommodation in Cairo on bed and breakfast basis. 3 Nights on Cruise board; Luxor &Aswan full board (sight seeing included). 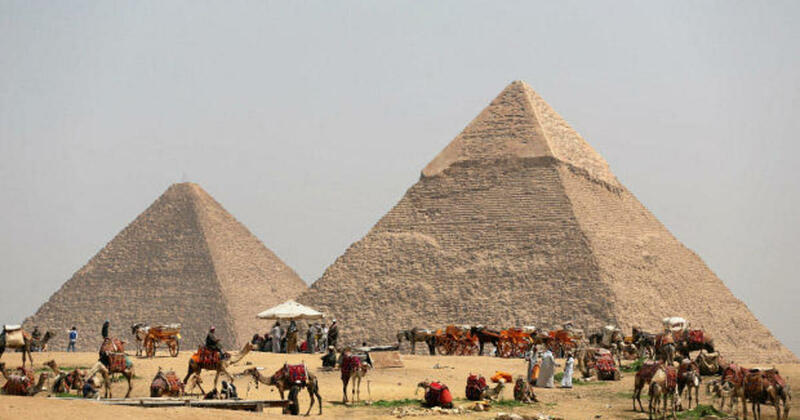 1 Full day tour in Cairo visiting the Egyptian Museum, Pyramids, Sphinx & Khan El Khalili. All transfers in Cairo, Luxor, and Aswan. All your tours and excursions are with A/C Private mini bus.